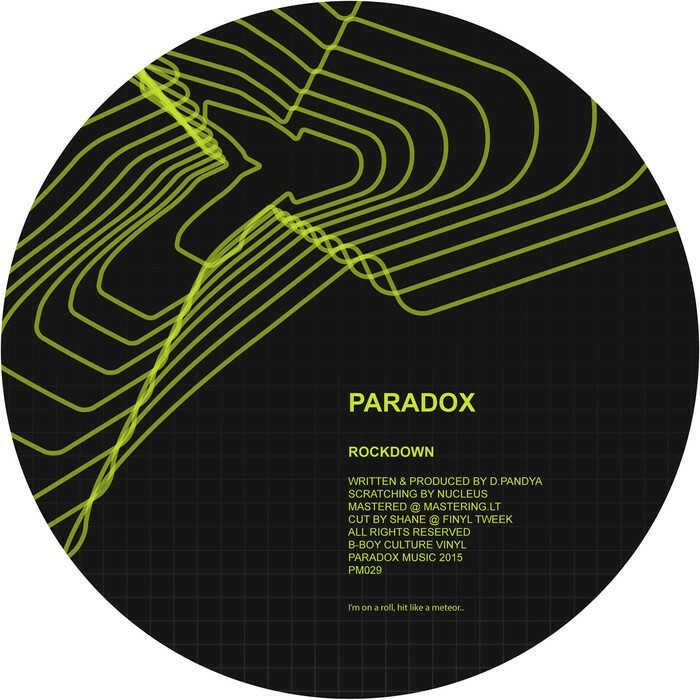 Timeless drum and bass is what Paradox Music is all about and Paradox returns to the scene in his own renegade b-boy style with "Rockdown". Bringing back that old school taste for low and mean bass paired with necksnapping breaks and chopped hip-hop, there's a lot to take in here. How can the past still sound this good? "Divination" takes more inspiration from the present day despite those Paradox give-away beats, opting for deep, dangerous bass and minimal stylings culminating in a dark and deadly masterclass in underground drum and bass.